QUESTION: I read your column every week in the Free Press and wonder if you could give me some suggestions for my problem. I live in a small River Heights bungalow, built in 1954. I had a new furnace installed about 15 or 16 years ago. Unfortunately, the furnace is in a small alcove directly under my bedroom. Being a light sleeper, it wakes me up whenever it starts. There isn't much room above the furnace. What would be the best thing to install above the furnace in this small area to absorb the noise? I am also planning to have the carpet in my bedroom changed and wonder if there is some kind of underpad that could help absorb the noise. ANSWER: I receive several calls every year about solutions for noise problems in homes and multiple-family dwellings. These are among the most difficult issues to deal with due to the many variables involved in the causes of the offending noise. 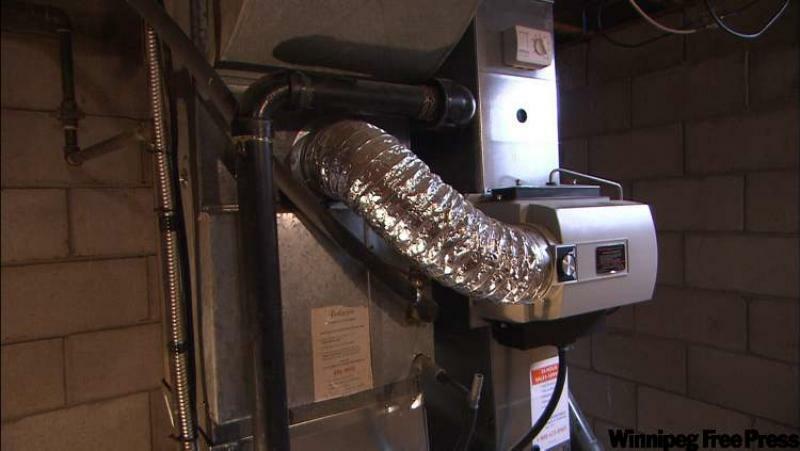 We will explore several of these items and discuss possible solutions for your noisy furnace. The first thing to determine, before you try and remediate the situation, is what type of noises you are experiencing. Furnaces can be noisy from three or four different causes. One of the most common issues is vibration noise, especially from older furnaces. Many furnaces have circulation fans installed directly to the cabinets with metal supports. When the fan or fans engage, the vibration from the fans or motors can cause significant noise from the cabinet, access panels, or ducting that is directly attached. This may only get worse over time as the metal components corrode or deteriorate. Other older furnaces have different mounts, which can also become quite loose over time, and allow the fan to vibrate or move considerably when in operation. One way to determine if vibration is a cause of the noise is to turn on the furnace fan and manually try to stabilize various parts attached to the housing. Often, holding access panels, the furnace cabinet or ducting steady and firm during fan operation will minimize the noise. This issue may be the simplest to remedy, as additional fasteners or strapping may be installed to stabilize the loose items that are causing the vibrations. Also, flexible duct gaskets can be installed between the furnace and main plenum to prevent the transfer of vibration from the furnace to the ducts, which is a common problem with some models. The next common causes of furnace noise are the house fan or exhaust fan motors themselves. These have a typical life expectancy of 15 to 20 years, and will often whine loudly when they become worn out. The simple solution, if this is your problem, is to replace the motor with a new, quieter one. The following two items are much less tangible and may be more difficult to identify. When your thermostat activates a furnace, the controls open the gas valve and allow ignition of the natural gas in the burners. These controls can have audible clicks or noisy transformers that may buzz, but those sounds are rarely enough to cause the problems you are experiencing. The burners, on the other hand, can be quite loud in some furnaces when ignited and may be heard far from the unit. If this is the issue, there may be little possible solution other than replacing your existing furnace with a newer one with a sealed combustion chamber. Most new high-efficiency furnaces have much quieter burners due to the lack of an open vent hood and other openings to allow collection of combustion air from the area around the furnace, common with older models. The final problem related to many noisy furnace complaints, especially with newer models, is the sound of the air as it is forced through the ducts. This can be quite audible and may cause whistling, banging or pinging noises in the ducts. Part of this problem is caused by the change in temperature of the ducting from the warm air flowing through the cool ducts, but most of it is simply friction noise of the air moving through the ducts and registers. This can often be minimized by adjusting dampers on the ducts or the registers in individual rooms. Other than that, not much can be done to your existing unit to minimize the noise unless the ducts are loose, which could be better secured to reduce buckling or vibration. Efforts to insulate or soundproof the area around or above the furnace may have minimal positive effect on the noise and may be a waste of resources. Replacing your carpeting and installing a thick underpad may also help to prevent some noise transfer from the room below, but likely won't provide satisfactory relief for you. The only way to solve this problem is to address the causes of the noise, rather than trying to minimize the transfer to your bedroom. If you find it too difficult to determine the exact sources of the noise, or if repairs are not practical, replacement of your furnace may be the ultimate solution. Many new furnaces are designed to be very quiet when operating due to well sealed combustion chambers and advanced, variable speed fans. I have recently seen several models that give me difficulty in determining when the house fan has engaged, because they are so quiet. While furnace replacement may seem like an overly costly and drastic solution it will have the added benefit of reducing your heating bills, especially since your furnace is getting older. Ari Marantz is the owner of Trained Eye Home Inspection Ltd. and the president of the Canadian Association of Home & Property Inspectors-Manitoba (www.cahpi.mb.ca). Questions can be e-mailed to the address below. Ari can be reached at (204) 291-5358 or check out his website at www.trainedeye.ca.